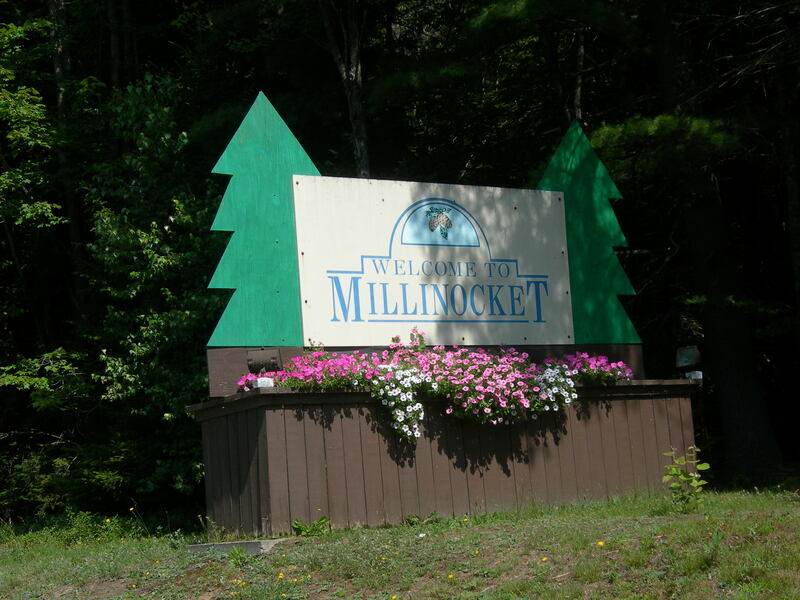 Millinocket, Maine epitomizes the plight of many rural communities across the country that struggle as legacy industries or major employers that once helped sustain a place slow down or close altogether. Millinocket has found new hope in part by pairing improved broadband internet access with a new focus on downtown revitalization, giving the community the chance to take hold of their future and “actually build something” new. Photo: Saco, ME, Jasperado via Flickr. Maintaining New England traditions is at the top of Saco, ME’s agenda. How can this small city maintain the physical, economic, and cultural assets that make it unique while also changing in ways that make it a desirable destination for tourists, homebuyers, businesses, and investors? Maine’s small businesses, like these in Bar Harbor, will get new help thanks to yesterday’s passage of Question 3. Photo by Duluoz via Flickr. On Tuesday, voters across America passed statewide, county-wide, and citywide measures in support of smart growth and better development strategies. Here’s a short roundup of what passed, what failed, and what it means for community development. The National Complete Streets Coalition reports on the national epidemic of pedestrian fatalities, offering county-, metro-, and state-level data on traffic fatalities and an interactive map of each loss in the decade 2003 through 2012. This resource specific profiles the state of Maryland. On November 20, smart growth advocates and policymakers in Maine convened for our coalition partner GrowSmart Maine‘s annual summit. The conference drew members from across the state for an afternoon focused on the policies, trends, events, and projects that have strengthened Maine’s economy, environment and communities. On Wednesday, November 20, join Smart Growth America’s coalition partner GrowSmart Maine for their 10th anniversary Annual Meeting. The meeting will bring together smart growth leaders from across the state for an afternoon focused on the policies, trends, events, and projects that have strengthened Maine’s economy, environment and communities. Mayor Jonathan LaBonté of Auburn, ME. Image via Facebook. Mayor Jonathan LaBonté of Auburn, ME is working to help his small city compete economically and grow stronger financially, and he’s using smart growth strategies to achieve both these goals. Auburn is a city of 23,000 people located 45 minutes north of Portland. LaBonté has served as mayor of the city since 2011, and he’s also a member of Smart Growth America’s Local Leaders Council, a nonpartisan group of municipal officials who share a passion for building great towns, cities, and communities. Portland, Maine has begun to develop a regional bikeshare program thanks to initial technical assistance provided through the Environmental Protection Agency’s (EPA) Building Blocks for Sustainable Communities program. Portland’s Planning and Urban Development Department applied for EPA’s 2013 grants under the leadership of Jeff Levine. Portland residents, Mr. Levine noticed, already had a strong interest in alternative transportation. Residents were interested in a bikeshare program, but Portland needed a catalytic event to kick-start the project. EPA’s workshops and forums, conducted earlier this month, jumpstarted the city’s efforts to implement a bikeshare program. Mr. Levine believes EPA’s time in Maine brought a necessary and “strong focus on the issue”. Residents and local officials participated in the sessions strategizing how Portland can make a bikeshare program a reality. With the project underway, Portland and the project’s supporters now must develop a business plan for a bikeshare program. A view of downtown Eastport, ME. Photo by The Indestructible Enforcer via Flickr. Eastport, Maine is a charming rural community vying for its survival. An island off Maine’s northern coast, Eastport is actively working to reduce the town’s increasingly substantial winter heating costs. To help in this effort, the community applied for and received a 2012 free technical assistance workshop from Smart Growth America and Otak, made possible by the U.S. Environmental Protection Agency’s Building Blocks for Sustainable Communities program. Eastport depends almost entirely on fossil fuels for winter heating, and pays more for them as compared to the rest of the country. And while all of Maine has severe winters and high heating costs, Eastport is a rural community that serves a primarily low-income and older population, making these obstacles even more challenging. The cost of heating has implications for Eastport residents’ disposable income, the region’s economy, and even home foreclosure trends. The city recognized that it needed to find a more sustainable, efficient, and affordable way to heat buildings. Balancing development with environmental and economic concerns is one of the biggest challenges facing Southern Maine today. Sustain Southern Maine is addressing these important challenges with a multi-faceted, comprehensive approach to planning. Aided by a Regional Planning grant from the U.S. Department of Housing and Urban Development, the partnership is working to make sure development in small, rural communities as well as larger urban areas like Portland – Maine’s biggest city – will benefit the communities and economies of the entire region.